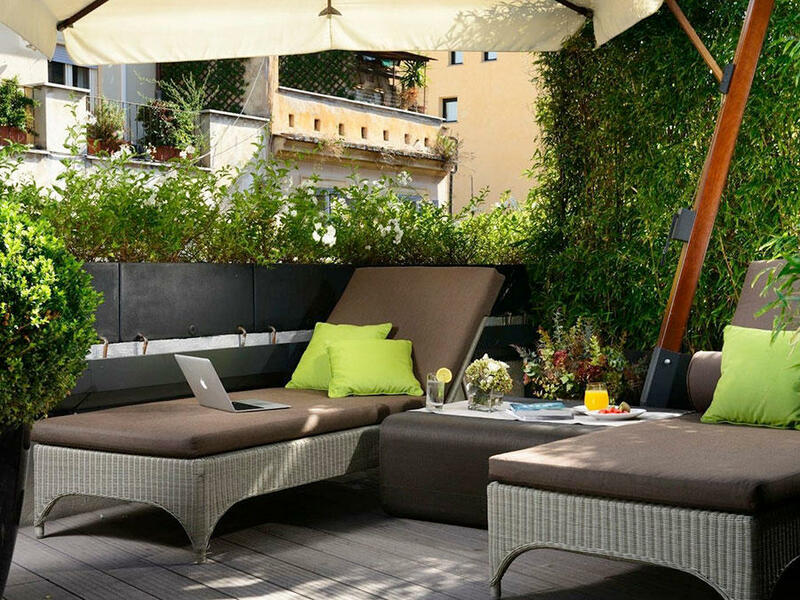 Enjoying access to a rooftop terrace in Rome, a city of beautiful light and lovely breezes, is a prized luxury in the Eternal City. 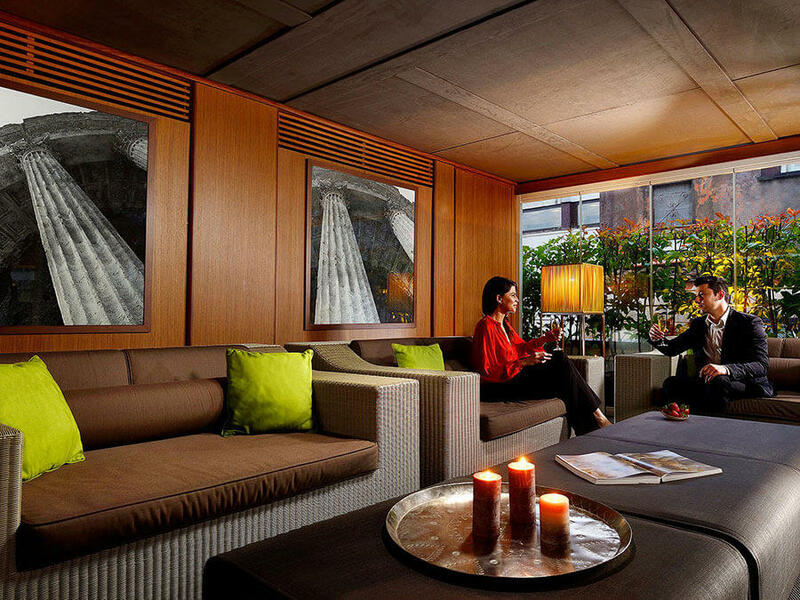 At Babuino 181, we are thrilled to offer this top-notch amenity, complete with a full cocktail bar. The exquisitely designed space is the perfect place to enjoy a delicious cappuccino and cornetto before starting your day. 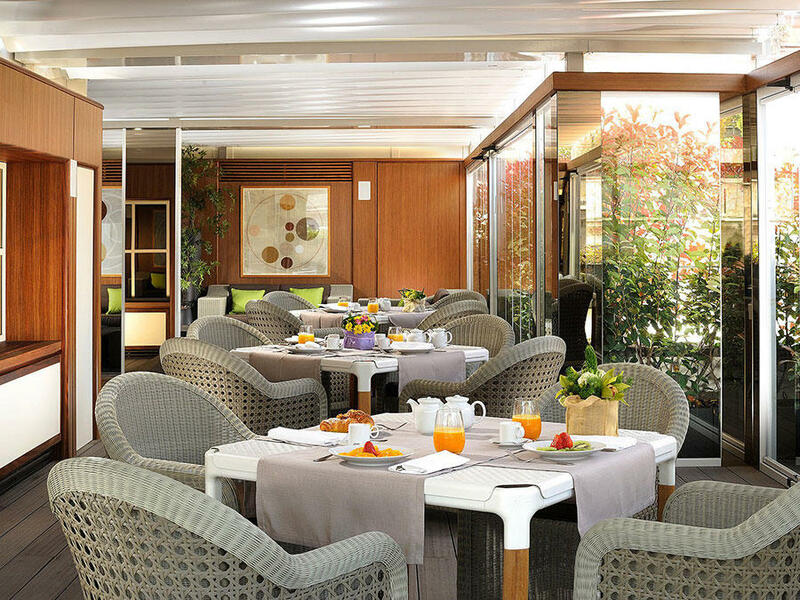 In the morning, our guests are invited to come anytime between 7:30 and 11:00 am for a full continental buffet. 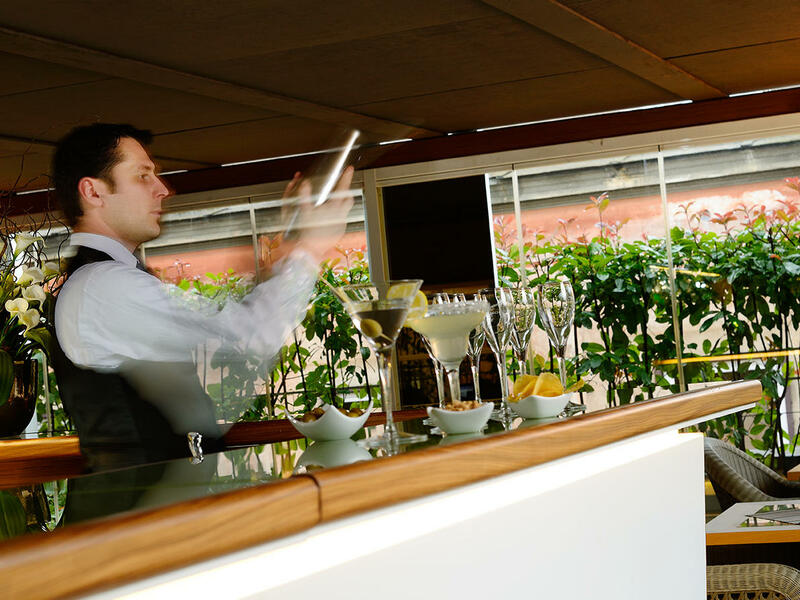 At night, our rooftop terrace in Rome offers a full bar service from 6:00 to 9:00 pm, making it the perfect place for a pre-dinner cocktail under the stars. 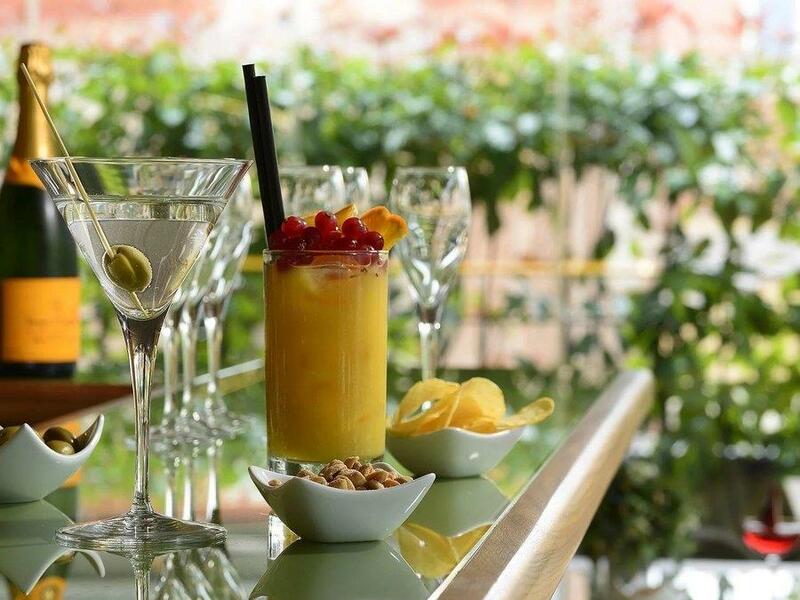 The terrace is located at the top of Babuino 181, a short stroll from Mario de’ Fiori 37 or Margutta 19. It’s accessible to the guests of any of our four properties.